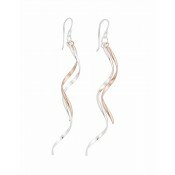 Creating the sense of movement, these unique dangle earrings have a truly captivating charm. 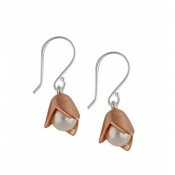 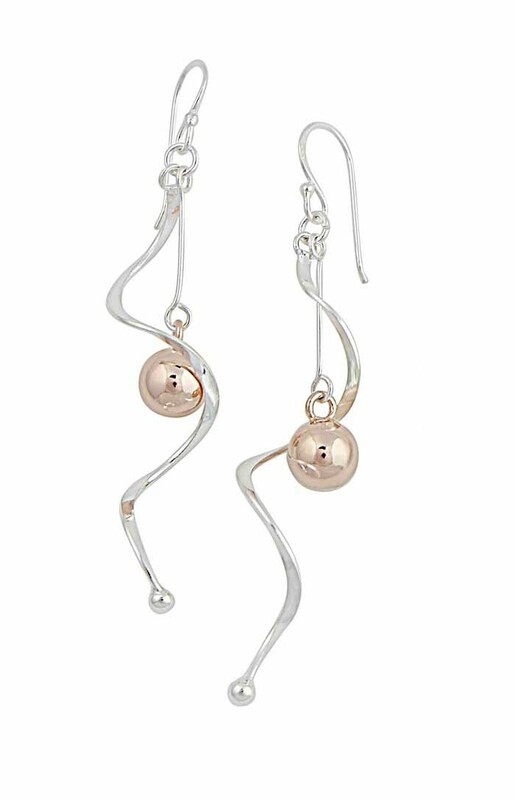 Each one features a polished silver twisted bar that seems to support the rolling beauty of a rose gold plated ball. 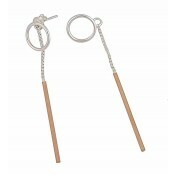 The versatility allows them to be worn with jewellery of all types while finishing off an outfit perfectly.